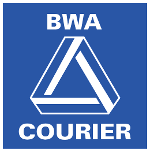 BWA Courier Service has been in operation for over 32 years. Areas covered include Pennsylvania, Rhode Island, South Carolina, South Dakota, Tennessee and Maryland. They are so confident about our same day courier service they guarantee it! Your parcel will arrive same day or our service is free. Delivery services are available 24 hours a day seven days a week 365 days a year.